Half Acre OL11 Steam & Dry Carpet & Rug Cleaning Company | Quality Property Care Ltd. Recover your fabulous rugs with the assist of a professional rug and carpet cleaning company in Half Acre OL11 Has your gorgeous rug lost its bright colours and appears to be dull and worn? There quick and easy choice for you. Quality Property Care Ltd., a rug and carpet cleaning company which delivers professional residential and commercial carpet and rug cleaning in Half Acre OL11 and the region. 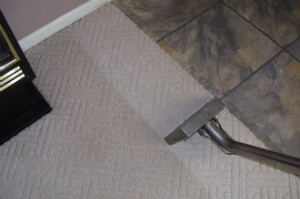 The carpet and rug cleaning services are offered with the newest cleaning technologies and safe cleaning solutions. The professional carpet and rug cleaning team offers carpet stain and spot removal, dry foam carpet cleaning or shampoo carpet cleaning for all kinds of carpets and rugs. Trust the trained and vetted cleaners to provide you excellent services at the best rug and carpet cleaning prices in the area. Not like regular synthetic carpets, rugs can be a hard task, when it comes to comprehensive and proper cleaning. Our rug cleaning specialists, though, are well-trained to cope with all types of carpets and rugs: synthetic, wool, cotton, linen, silk, viscose, suede, plush, chenille, nubuck, leather and acrylic. Depending on the fabric type, the professional carpet cleaners in Half Acre OL11 chose the most appropriate procedure. Notice: we always examine the detergents on the backside of the rug to be sure it will not get wasted. Remember that Quality Property Care Ltd. carpet cleaning company, though, works only with tried and 100% eco-friendly cleaning detergents with no chemical substances. Last, but not least, the carpet cleaning teams can also offer: Bed Bug Mattress Treatment Mattress Cleaning Curtain Cleaning, Drapery Cleaning, Blinds Cleaning. Be aware that if you order more than one service, we will make a special discount for you! Receive your offer now and don`t worry about the cleanliness at home the next day! We would be glad to assist you! For more delicate materials like cotton and silk we use a more gentle approach which does not depend on heat or moisture to remove a stain. Natural materials hardly ever react well to both heat and moisture so we are using a specialised dry compound which comes in a granulated form. 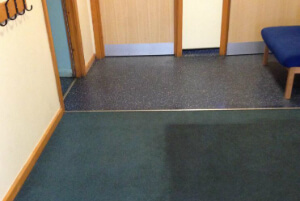 The same process of stain and rug or carpet prepping applies as was explained in the hot water extraction method, allowing us to much better remove the blemish. This time we pre-treat the stain with a specific detergent, specially chosen for the sort of fiber we are cleaning. It’s put on and let to set into the spot. Once that is done we apply the granulated detergent and spread it with a fine brush. This imbeds it into the fabric of the material forcing it into the stain. The dry ingredient is also let to set for 10 mins after which we get it using a high powered vacuum machine, extracting 100% of the filth and detergent and filth. There is no trace left behind, leaving both your carpet and natural rugs fully cleaned and spotless. The company Quality Property Care Ltd. was established in Half Acre OL11 back in 2005, and since then has been developing and evolving, to manage to catch up with all the latest tendencies in the cleaning business. The cleaners are all vetted, frequently trained and supervised for their cleaning performance. The machines, instruments and solutions used for the deep carpet cleaning, and the other cleaning services delivered are certified, safe and modern . The cleaners deal with any kind of stains on your carpets or rugs, including: wine, oily stains, blood, paint, vomit, rust, coffee or tea. All services delivered are covered by insurance, and the quality is confirmed. Don`t wait to book our affordable carpet cleaning company Half Acre OL11 now! Quality Property Care Ltd. is offered for your requests! Do not hesitate to book any of our exclusively customised carpet cleaning services in Half Acre OL11 now! Use the direct online booking form for bookings. Obtain a free quote immediately on 020 3746 4287!